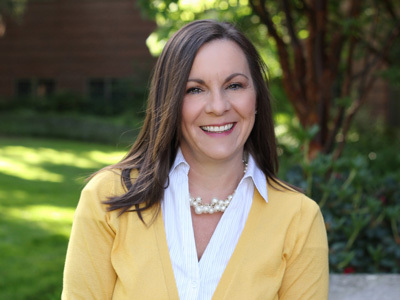 Connect with the next generation of Lundquist College of Business undergraduates. Sign up to host a business student at your company for a day in mid-June. The next step on your path to greatness. 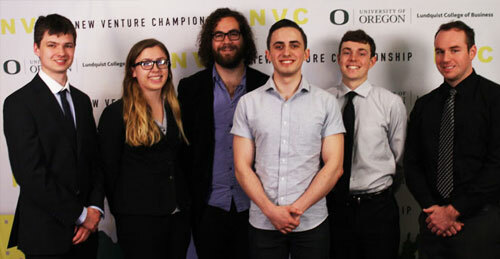 Presented by the University of Oregon's Lundquist Center for Entrepreneurship, the New Venture Championship (NVC) is the Pacific Northwest's original six-round business competition, setting the standard followed by others. Teams from elite universities come to Portland every year to pitch their venture plans and vie for more than $50,000 in total cash awards. You’re the hero of this story, and now you’re standing at the beginning of a new road. The journey isn’t over and there’s much more to be done—are you ready? 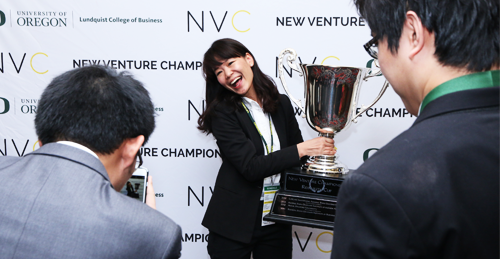 Founded in 1992, the New Venture Championship remains the premiere international entrepreneurial investment competition. Teams travel from around the world to present and defend their business plans. Bring your best ideas forward and compete with some of Oregon’s brightest minds. Challenge yourself to develop a groundbreaking venture pitch. Teams from Oregon four-year institutions are invited to submit an entry. Great ideas aren’t restricted by age. Some of the best and brightest entrepreneurs got their start in high school. 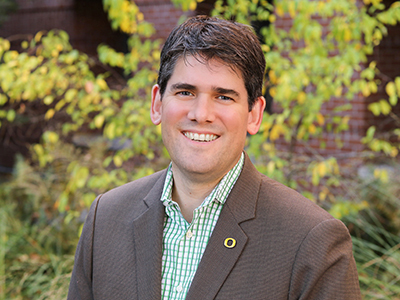 The New Venture Championship is working to help build this support structure for young entrepreneurs in Oregon. 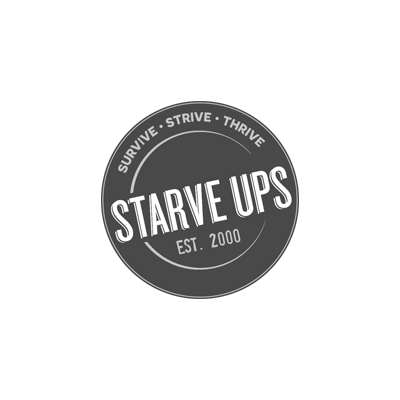 "Our business plan grew more in a 24-hour period than in the past several weeks, thanks to an abundance of feedback sessions. 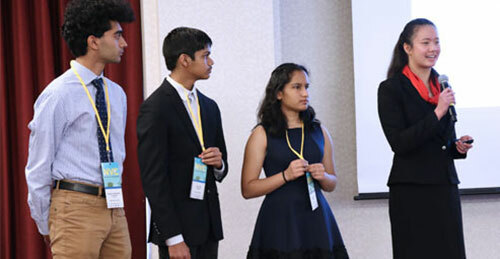 NVC is a truly unique competition that refuses to conform to the typical single short pitch presentation, and allows all the teams—no matter if they win the finals or not—to develop their skills for communication and to challenge their assumptions with an experienced group of judges."